2015 Bordeaux is a legendary vintage for one of the world’s great wine producing regions. For those of you who purchased on futures, you made a wise decision. In-bottle scores are on the high end of the En Primeur scoring range and prices for the ‘wines of the vintage’ have already escalated. We have in stock the good valued Petit Chateaux (small houses) that are a bargain in great years like 2015 and you get some very fine wine for quite reasonable prices. Then there are the next level up, the so-called Cru-Bourgeois wines that will keep and improve short-term (5-8 years) and then the very top tier, the Grand Cru Classes which are highly sought after for cellaring longterm (10+ years) and for those where the year 2015 has significance (birthyear, marriage year etc) and where you want something special later on down the road. For those that missed out on futures, don’t miss this spectacular year now in bottle. 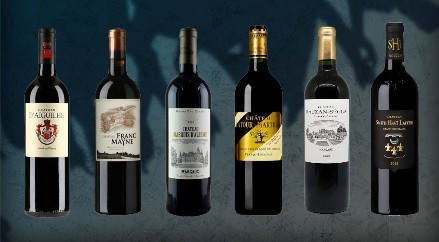 Also, keep in mind our 2015 Bordeaux tasting on Saturday, March 16th.